The Brewster Angle Microscope is very useful in obtaining images from the air-water interface during compression of monolayers. It has the advantage of the epi-fluorescence microscope that doesn't require any addition of fluorophore to enhance the contrast. 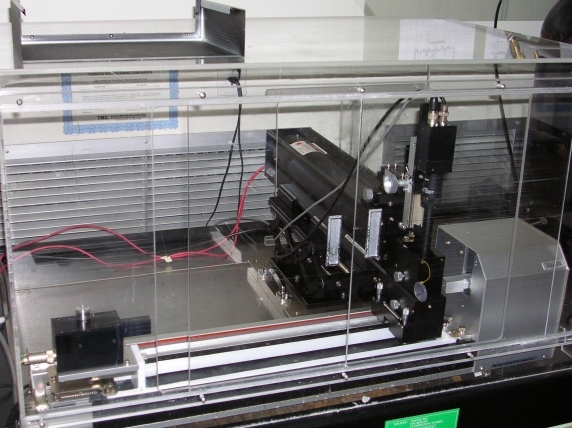 It can used for aggregation studies and phase transition or domain visualization. The light source it is a 630 nm laser. The image is acquired using a small camera that captures the image from the interface after reflection from a mirror.